The time has come to start thinking about college. Don’t panic… we’ve been there. As co-founders of Bound to Organize LLC, our mission is to empower students to successfully navigate the complicated and stressful college application process and gain admission to their best fit school. The process is daunting and overwhelming for both teenagers and their parents. With applications and financial aid worksheets to complete, essays to write, resumes to create, and campus tours and interviews to schedule, your life is now filled with college chaos. When our eldest children were beginning the college bound process, we searched for ways to understand how to best help them navigate their way. We read many advice books, spoke with guidance counselors and admissions officers, and reached out to parents who’d been through the process. We came away with a clear understanding of how to successfully apply to college: define your student, identify schools that fit that profile, stay on task to meet deadlines, and correctly submit all the components in a well executed manner. Ultimately, we wrote The College Bound Organizer to help students and other parents accomplish what we set out to do with our children. 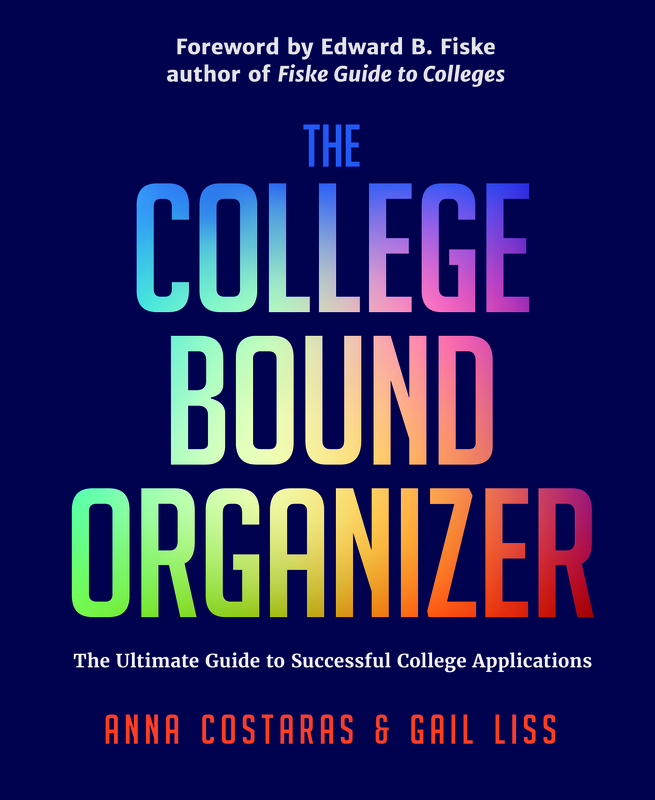 Although there are many excellent books offering advice and information about colleges, The College Bound Organizer is the the only comprehensive guide to help students stay organized from search through admission. Our approach is personalized to help our students meet their objectives. We place great value in understanding who they are, what their goals are and where they see themselves going. We offer the guidance and experience of seasoned counselors with a well-managed system to help you survive the process and come out with an acceptance letter in hand.